Here’s a wrap on the latest music industry hirings — on both sides the Atlantic. Sony/ATV Music Publishing has promoted Tom Kelly as Chief Financial Officer, while Elicia Felix-Hughey joins the mega-pub as Senior Vice President, Global Human Resources. The placements are the first by incoming Chairman/CEO Jon Platt. Valence Media’s Billboard-Hollywood Reporter Media Group has just named Deanna Brown as President. Downtown Music Holdings has named Anne-Taylor “AT” Adams as its Senior VP Global Communications. David Dormon is also jumping aboard as Legal Counsel and Director Acquisitions. ASCAP has tappd Ed Razzano as SVP Administration Services, where he will oversee operations and strategy for royalty processing arm Songwize. Ed was formerly VP Global Synch Operations and Systems for BMG Rights Management. Epic Records has named John Kirkpatrick as Senior VP Brand Marketing. Michelle Belcher has been appointed to VP Epic Film & TV. Both will be based in Los Angeles . SeatGeek has announced that Danielle du Toit will become the company’s first President SeatGeek Enterprise. Danielle will oversee all SeatGeek Enterprise business operations. iHeartMedia has announced that Taylor Jukes has been named Program Director WHYI FM/Y100. She will be responsible for ratings, revenue, and digital growth at Y100 and its various online brands. Kobalt-owned AWAL has named Delphine Ferre as its new Marketing Director for France. The Universal Hip Hop Museum has named Nana Carmen Ashhurst UHHM Chairwoman the Board. Ashhurst replaces Kurtis Blow. Madison House has announced the hiring new artist manager, Angela Jensen. Booking agent Tyler Hettel also joins the team. Universal Music Canada has bumped Amy Jeninga to Vice President, Digital Strategy. LA-based management company Monotone has named Matt Pollack and Brett Williams as co-General Managers. The duo will report to Monotone Chairman and CEO Ian Montone. The IFPI has appointed Jenny Wong as Asia Regional Director. She will represent the interests more than 1,300 members in the region. Reservoir has announced the expansion its fifth global fice based in Nashville, TN. John Ozier has been named Executive Vice President Creative and will oversee operations at the new installation. 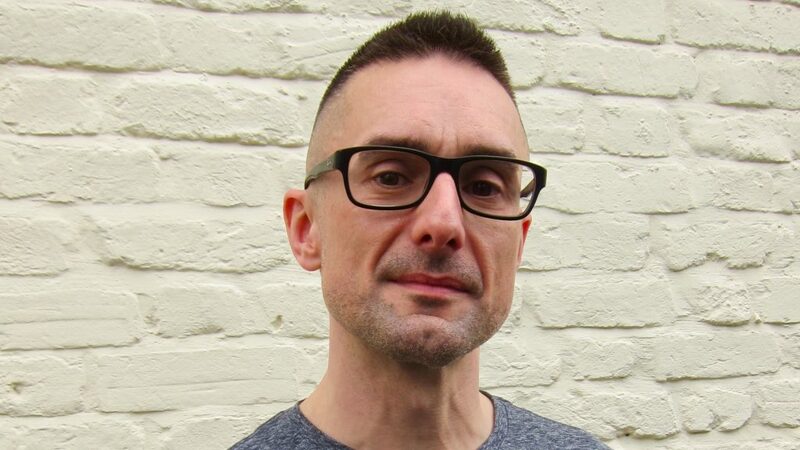 Deezer has announced that Nigel Harding has joined the company has its new VP Artist Marketing. He’ll oversee the streaming service’s team for artist campaigns and Deezer Next. Pioneer DJ Americas has named John Powell as president. Powell will oversee all Pioneer DJ Americas operations; he joined in 2017 as senior VP sales. Former Pandora CEO Roger Lynch has been named the first global CEO Conde Nast. The media publishing giant owns brands like Vanity Fair, Vogue, and GQ. Warner Music Nashville has announced the promotion Cris Lacy to executive VP, A&R. Ben Kline has been promoted to executive VP and General Manager. Scott Hendricks moves to the role executive VP, A&R, and Creative Advisor. StubHub has announced the addition three new members to its leadership team. Arnie Katz will assume the role Chief Product and Technology Officer, Giribet Giral has been named Vice President Global eCommerce, and Stephanie Burns will assume the role VP and General Counsel. London-based law firm Lee & Thompson has announced the promotion two members to its music team. Lizzie Payne-James is joining as a partner, while Tim Fowler has been promoted to Legal Director. BMG has announced the promotion Dominique Kulling to EVP Continental Europe Repertoire & Marketing. Maximilian Kolb has been promoted to Managing Director BMG GSA. Symphonic Distribution has also announced its expansion into Nashville, TN. The new fice is located at 901 Woodland Street. RCA Records UK has hired Damaris Rex-Taylor and Phil Youngman as Director Marketing and Director Promotions, respectively. Warner Bros. Records has announced that Nate Albert has joined as Executive Vice President A&R and will be based at the company’s Los Angeles HQ. Albert is a founding member the Mighty Mighty Bosstones and has held senior A&R posts at Capital and Republic Records. Kate Shepherd has joined Warner Music UK as MD, Entertainment Programming. She will oversee the development IP and documentary features, original series, branded content, and more. Over at Universal Music Publishing Group UK, Tom Foster has been promoted to Head Film & TV, Europe. The Recording Association America has appointed Jackie Jones as Vice President, Artist & Industry Relations. She will be based in Nashville and will work with the city’s music community.